The F-16 is a legendary single engine supersonic multirole fighter jet designed for US Air Force. The F-16 was initially designed and developed by US Defence major General Dynamics. General Dynamics, later on, sold the F-16 Fighting Falcon production line in 1993 to another US defence major company Lockheed Martin . The F-16 bears the distinction of most widely used fighter aircraft in the world with more than 4500 F-16 fighters currently operational with many countries. Today we are doing to discuss the design features, combat history and the latest news related to F-16. After the losses suffered and the experience in the Vietnam war , the US Air Force felt the need for a lightweight agile fighter jet primarily for air superiority role . The US air force Colonel John Boyd started work on LWF – Lightweight Fighter program . The US air force later on funded this LWF project to develop a prototype based on Boyd’s work . The US air force opted for competitive prototyping and initiated a request for proposal to build LWF prototype . Amongst the competitors , two selected companies that includes General Dynamics and Northrop were awarded contracts to independently build the LWF prototype . The US air force eventually decided to go ahead with YF-16 prototype and in 1975 , General Dynamics was declared as the winner of the Air Combat Fighter competition . The US air force awarded the contract to build the first batch of fifteen to General Dynamics who had won the Air Combat Fighter competition. The First batch of F-16 was inducted in US Air Force to join 34th Tactical Fighter Squadron on 1st October 1980. During the Paris Air Show in 1975 , a group of four European countries together placed the order for 384 F-16 to be produced in two new production lines in Netherlands and Belgium . The F16 was originally designed as a light air superiority fighter jet primarily meant for air defence missions. However, the F-16 was subsequently redesigned as multirole fighter jet which can effectively perform both Air-To-Air and Air-to-ground missions. The F-16 latest model design features are completely different as compared to earlier F-16 design features. 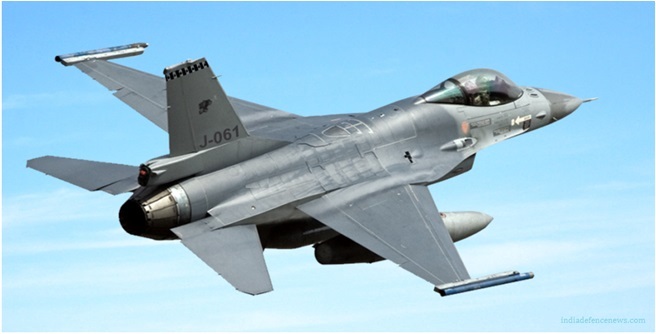 As the new technology evolved, Lockheed Martin incorporated these new technologies such as newly improved avionics, sensors, cockpit display systems, electronic warfare suit and weapons package into the subsequent variants of F-16. 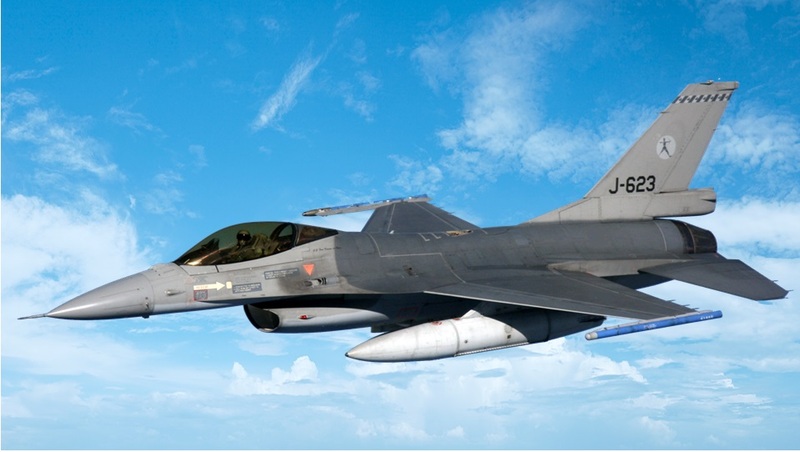 However, all new F16 variants had retained the airframe as per the airframe designed. All the changes incorporated into the subsequent variants were in line with the original design theme of LWF – Lightweight Fighter as proposed by Col Boyd and his design team. F-16 Engine The F-16 is powered by a single engine. The General Electric F110-GE-129 OR The Latest Pratt And Whitney F100-PW-229 EEP. The US Air Force operates the one of the largest fleet of F16 which has played a major role during various combat operations . 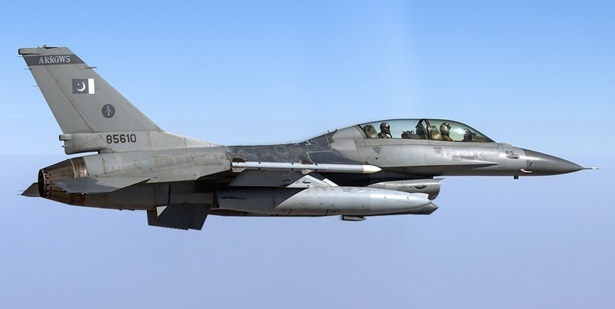 The US air force extensively used F16 during Iraq war during operation desert storm to enforce the no-fly zone over the skies of Iraq . The F-16 has been mainstay of Israeli air force for a long time . The bombing and destruction of Iraqi Nuclear Plant on 7th June 1981 at Baghdad by Israeli air force using eight F16 was One of the most outstanding and successful missions ever conducted by the Israeli air force . The Israeli air force scored yet another major victory during the Lebanon War in 1982. In this war , the Israeli air force shot down 44 fighters jets by using F-16 and dominated the aerial combat. Pakistan acquired F-16 from the US in 1983 as a part of US assistance for providing support to US forces operating in Afghanistan. Pakistan had acquired total of 85 F-16 fighters and Pakistani air force operates a total 71 with a combination of six different variants. Pakistan had again tried to acquire additional eight F16 and associated weapons worth $ 699 Million. However, the Obama administration had blocked this deal due to Indian objection raised by Modi government. US had provided the F16 to Pakistan for anti-terrorist operations, whereas Pakistan has used these F-16 against India. Pakistan has used F16 against India on two occasions. The Kargil war started in 1999 when Pakistani forces intruded in Indian side of Kashmir in Kargil which is border town in the Indian state of Jammu and Kashmir . The India army and air force launched a massive counter attack to flush out the Pakistani intruders . In Kargil War , the Indian air forces had extensively used Mirage 2000 , Mig-21 Bison and Mig-27 for ground attack operations. The Indian Air Force had also deployed Mig-29 air superiority fighters equipped with R-77 BVR ( Beyond Visual Range ) Missiles to keep the Pakistani air force away from the combat zone . The India Air force successfully managed to keep the Pakistani Air Force F-16 and other planes providing any operational support to the Pakistani forces deployed in Kargil war . On two occasions , the Indian Air Force Mig-29 on combat patrol had locked-on to the Pakistani F-16 and Pakistani F-16 planes had to immediately retreat back in Pakistani air space to avoid being shot down by the Indian Air Force Mig-29 planes . The Indian air force carried out a major surgical strike against terrorist training camps at three locations deep inside Pakistan. The Indian Air Force had used twelve Mirage 2000 equipped to Spice Laser Guided Missiles for this operation .For this operation , the Indian Air Force had also deployed Sukhoi 30 MKI Air Superiority Fighters to handle any response by Pakistani air force . 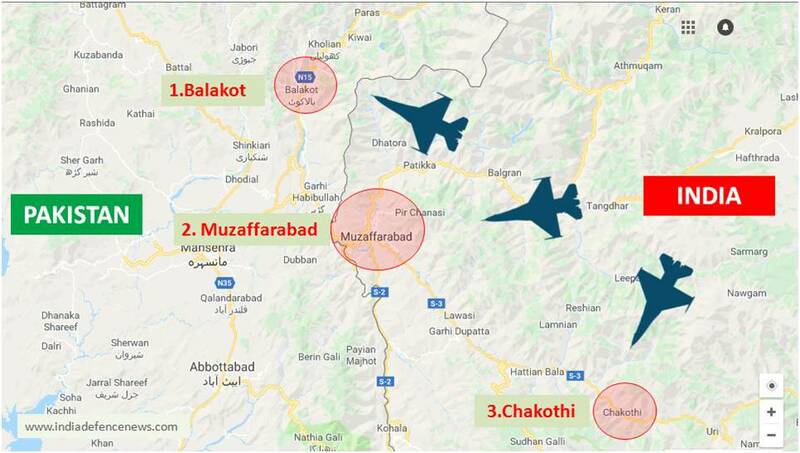 The Indian Air Force surgical strike had successfully destroyed these three terrorist camps and over 250 Pakistani terrorists were killed in this operation. The Indian Surgical strike using Indian air force came as absolute shocker as this is for the first time the Indian government had taken a punitive action against Pakistan . The Indian Prime Minister had repeatedly warned Pakistan for these impending Indian surgical strike. However despite these clear indication , Pakistani air force did not offer any resistance during these IAF raids and the PAF avoided head-on engagement with Indian air force planes during surgical strike . The Pakistan government and Air force had to face criticism for complete inaction against Indian surgical strikes . On the next day morning as a face saver , a formation of Pakistani F-16 made an unsuccessful attempt to attack Indian army brigade head quarter along the border in Indian side of Kashmir. The three Pakistani F-16 intruded in Indian Air Force were challenged by two Indian Mig-21 Bison which were already on the combat patrol in the same area and the first one to engage in aerial combat with Pakistani F-16 . During this dog fight , the Indian Mig-21 Bison managed to get a lock-on on one of the F-16 and fired his R-73 close combat missile . The Indian Mig-21 Bison the latest upgraded version equipped multimode radar , Israili Elbit Helmet Mounted display with R-73 is a formidable opponent in any dog fight which Pakistani pilots realised too late . The R-73 fired by Indian Mig-21 was direct hit and Indian pilot Wing Commander Abhinandan had scored its first historic Pakistani F-16 kill . The initial variants of F-16 were equipped with mechanically scanned pulse Doppler radar . Later on AESA – Active Electronically Scanned Array radar was introduced for F-16 in 2003. The initial variants of F-16 A / B were equipped with AN/APG-66 a mechanically scanned radar . This was a Pulse Doppler Radar originally designed by Westinhouse Electric Corporation US . The AN/APG-66 radar was capable of detecting targets up to 150 KM . The Northrop Grumman later on introduced many upgrades to enhance the radar capabilities . The APG – 68 was mechanically scanned radar introduced with significant improvement with radar scan range of 296 KM as compared to 150 km range for APG-66. APG – 68 also had SAR – Synthetic Aperture Radar capability . The SAR capability provides pilot with 2D and 3D images used to get information about topography of the area. The SAR provides high-resolution , all terrain , day and night and weather independent 2d , 3D mapping of area to the pilot . The AESA – Active Electronically Scanned Array radar for F-16 was first developed by Northrop Grumman in 2003. The APG – 80 AESA Radar was developed for F-16 Block 60 variant specially designed for UAE – United Arab Emirates and entire development cost for $ 3 Billion was funded by UAE. The APG – 80 AESA Radar is a multimode radar with over 1000 TR modules . The The APG – 80 AESA Radar can track both aerial targets and ground targets giving pilot ability to engage multiple targets simultaneously. The APG – 83 is the latest variant of AESA Radar is claimed to be a 5th Generation technology designed for 4th Generation F-16 . This is the most advanced variant of AESA Radar designed for F-16 and US Air Force has selected this AERA Radar to upgrade 2000 F-16, currently operational with US Air Force. The APG – 83 is a multi-functional and multi-mode AESA Radar which provides the same capabilities similar to F22 APG-77 and F-35 APG-81. The APG – 83 upgrade does not require any modification in airframe or cooling system. The F-16 has total nine hard points for carrying the weapons payload . The AIM-9 Sidewinder is a close combat air-to-air supersonic , heat-seeking missile with high-explosive warhead. The AIM-9 Sidewinder has a passive infrared guidance system that can engage target up to 35 KM . The AIM-9 Sidewinder is one of most successful close combat missile with proven track record of estimated 300 kills . The AIM-120 AMRAAM ( Advanced Medium Range Air to Air Missile ) is a Medium range BVR – Beyond Visual Range , supersonic, all weather , day and night , air-to-air missile. The AIM-120 AMRAAM has a high-explosive warhead with active radar homing guidance which can simultaneously engage multiple targets up to 80 KM . The AIM-120 AMRAAM. The AGM-84 Harpoon Missile is considered to be amongst the best in its class sea skimming anti-ship missile. The Harpoon Missile is also available in different variants that can be effectively used for different types of targets. The latest variants of Harpoon Missile can hit the targets up to 300 km. The F-16 Cockpit has been designed with single piece polycarbonate bubble canopy which provides a 360 degree view to the pilot . The toughened polycarbonate canopy provides protection against bird hits and other impacts . The F-16 head-up display ( HUD ) has been designed to provide situational Awareness to the pilot by projecting visual combat and Flight data information in front of the pilot without obstructing the front view of the pilot. The F-16 Cockpit has two prominent Multi-functional display ( MFD ) which provides all vital information and data to the pilot . The F-16 Block 40 onwards is compatible with Boeing designed JHMCS – Joint Helmet Mounted Cueing System which provides ability to pilot to engage target just by moving head in the direction of target . The Indian MOD – Ministry Of Defence had initiated MMRCA competition in 2008 . Under the MMRCA – Medium Multi-role Combat Aircraft , the MOD wanted to purchase 126 latest multirole fighter jets for Indian Air Force . In this completion the Lockheed martin had pitched latest F-16 Block 70 with AESA Radar . However , the French Rafale Jet was eventually declared winner and Indian Government placed the order for 36 Rafale in flyaway condition from Dassault Aviation in 2015 . However , the Indian Air Force urgently needs substantial number to restore 42 squadron strength . And therefore , the Indian Government once again floated requirements in 2018 for additional 114 fighters under MMRCA2 competition . The MMRCA2 also includes setting up production line in India under “Make In India” initiative . The contenders for MMRCA2 in 2019 includes French Rafale , Boeing F-18 Super Hornet , Lockheed Martin F-21 ( Latest Avatar of F-16 Specifically designed for India ) , SAAB Gripen JAS 39 , Eurofighter Typhoon and Russian Mig-35. India is heading for a election in April 2019 and MMRCA2 is expected to be fast tracked once the new government is in place. As a part of MMRCA1 bidding , Lockheed Martin had offered to move the entire F-16 production line from US to India if F-16 is selected for MMRCA contract . Lockheed Martin has already formed a joint venture company with Indian company Tata Advanced Systems to manufacture F-16 in India . This joint venture company “Tata Lockheed Martin Aerostructures Limited” has already constructed a manufacturing facility and started operations in Hyderabad . Initially , this facility would manufacture the wings for F-16 . The US Air Force has already moved on to F-35 Stealth Fighters. India is the first choice for highly skilled manpower. The Indian Air Force modernization program is the mother of all defence deals. Tata Advanced System is already manufacturing major parts for Boeing Apache and Chinook Helicopters. Indian has an impeccable track record for the US patented technology. India offers safest, cheapest and strategically located manufacturing base. This will further strengthen India US strategic partnership. Trump Administration has already approved this deal despite US First policy. The Indian government dropped F-16 Block 70 offered under MMRCA1 in 2003 because it is a four decade old platform , the F-16 already in service with Pakistani Air Force . Further, US reservations and conditions for transfer of technology . For MMRCA2 competition floated in 2018 for 114 fighters , the Lockheed Martin has now pitched F-21 which is a new avatar of F-16 Block 70 . Lockheed Martin has claimed F-21 as completely new platform which will be the most advanced version of F-16 ever produced with latest features . Modern Single Panel Wide Multi-Functional Display. Latest AESA – Active Electronically Scanned Radar. New Avionics and EWS Systems. The F-21 in its new avatar is a formidable machine. Lockheed martin will move entire production line in India. Lockheed martin will build most modern manufacturing facility in India. India will be hub for upgrade and maintenance of 4600 F-16 being operated by 25 countries . Lockheed Martin has agreed to share and technology transfer . Lockheed Martin will help in Indian Fifth Generation Fighter Project AMCA under development. Despite the vintage airframe, the legendary F-16 has gone through technological evolution over a period of last four decades, which makes F-16 still a modern multirole fighter jet. The existing F-16 family with 4605 currently being operated by 25 countries is a huge opportunity for India. The Indian Air Force also needs to induct new fighter in large number to quickly ramp up the critical squadron strength. The Indian government eventually might be tempted to procure F-21 in sizable numbers which will much cheaper as compared to Rafale. The Rafale still a very strong contender and possibly the best option for IAF requirements, despite the recent political storm and its price tag. It is very likely that the Indian government will be going ahead with additional Rafale through G-to-G deal under MMRCA2 program which will be the mainstay for IAF till fifth-generation aircraft is inducted. However, irrespective of the outcome of the Indian MMRCA2 program, the legendary F-16 with its combat proved track record, is going to be a formidable fighter jet for the next three decades. Do let me know your thoughts on this in comments.